If you are heading to Paris and looking for some unforgettable vacation ideas (yes, the ones without the hassle, crowds and TONS of planning), then take one (or many) of these hand-picked exclusive private tours Paris. They are an intimate and an in-depth way of exploring this romantic city. These private tours in Paris are a great way to learn about the culture and get acquainted with the various neighborhoods, especially if this is your first trip to Paris and if you didn’t have much time for research and planning. 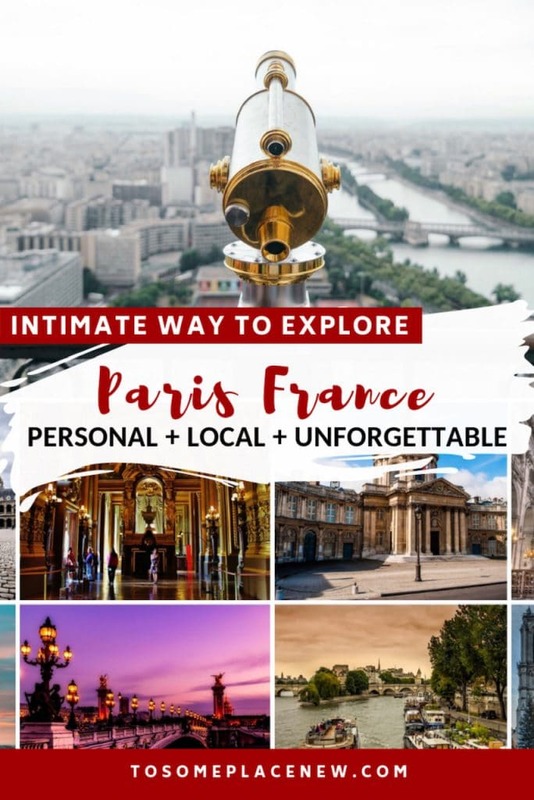 These tours are also IDEAL if you are short on time while visiting Paris and don’t want to MISS out on the major sightseeing landmarks and experiences. As you know, Paris is also about the experience! We have included some special “experience tours” like the Wine + Cheese tasting tour with an oenologist, a MIND BLOWING all exclusive night tour of Paris, Seine Dinner cruise for a romantic evening and a private photo shoot for your vacation in Paris. With these Paris private tours, it is a perfect way to get “involved and engaged” with the city of dreams, with a travel guide who has in-depth knowledge of the city and Parisian neighborhoods, and they would take you to places like the iconic Eiffel Tower, Lourve, Montmartre, Notre Dame Cathedral, Versailles and more! Have you dreamed of wandering the picturesque streets in Paris? We did and we are sure you will enjoy exploring the vintage Parisian neighborhoods with a local. The Paris city private tours are a great way to experience the culture, and to get acquainted with the arrondissements or districts and checking off all the iconic landmarks in town. Its like having a friend in Paris – ask questions about food, night life or anything you fancy. These tours can be completely customized to suit your needs and are offered at a great price. Each tour can be booked for 4 hours. Experience a romantic evening by cruising on the river Seine, that flows through Paris. 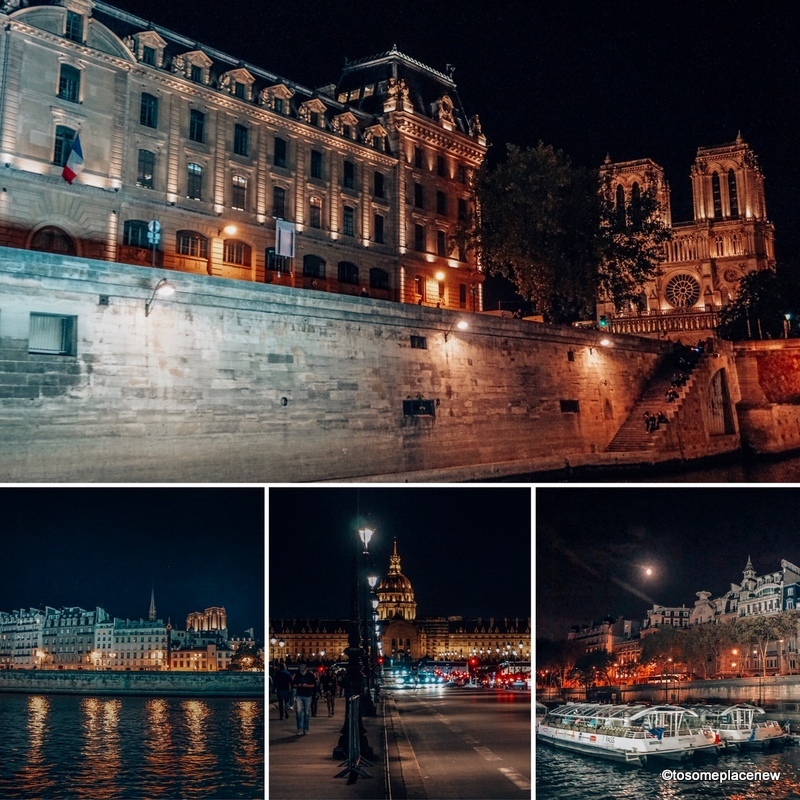 You will be mesmerized by the illuminating lights on the Eiffel Tower, the Notre Dame Cathedral and other stunning landmarks of Paris France. 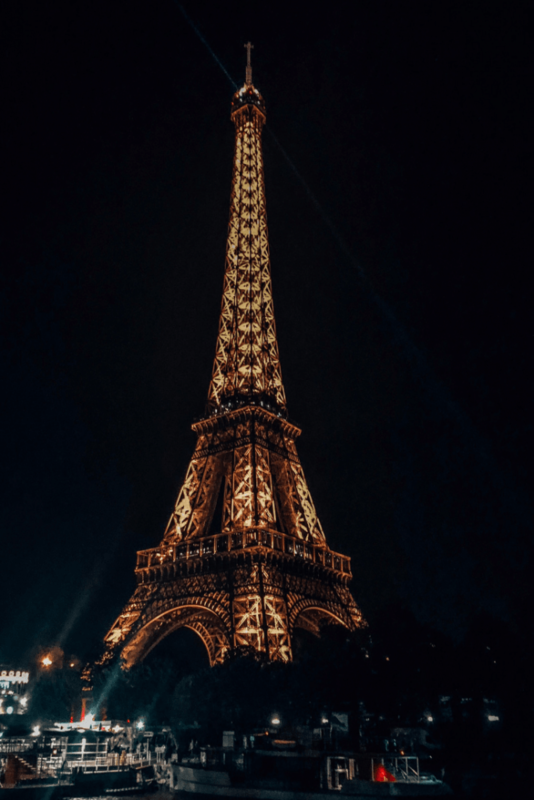 The tour/cruise is conducted in a glass enclosed boat, so rest assured, if you are like us and love to take pictures then you will capture some gorgeous views of the Eiffel tower and other landmarks (as pictured here from our cruise). There are options for cruises with or without meal. We recommend taking the cruise with meal, so that you can spend longer time at the river (up to 2 hours), whilst enjoying a gourmet 3 course dinner. This is a great way to spend your final night in Paris or to celebrate something nice or just cause you want to relax. This cruise is perfect for all occasions! This MIND BLOWING – all exclusive private tour in Paris is EPIC. It combines many tours together, making it of GREAT value. And to TOP it off, it is romantic, intimate and your only enchanting way to explore Paris at night. Dinner + champagne included! Unlimited number of photo spots. The private tour ends at the Trocadéro Gardens, to take photos of the Eiffel Tower. Paris and wine go together, and wine and cheese go together. With so much ‘togetherness‘, this food tour is hard to beat. This private food tour is ONE of a kind. In this tour, you will visit a local oenologist – learn all about wines, and wine making. It is a 2 hour tasting tour in a Parisian apartment, with an opportunity to discover your olfactory senses and TASTE 4 wines and 3 different types of cheese. This 1.5 hour Notre Dame Cathedral tour is perfect for families. 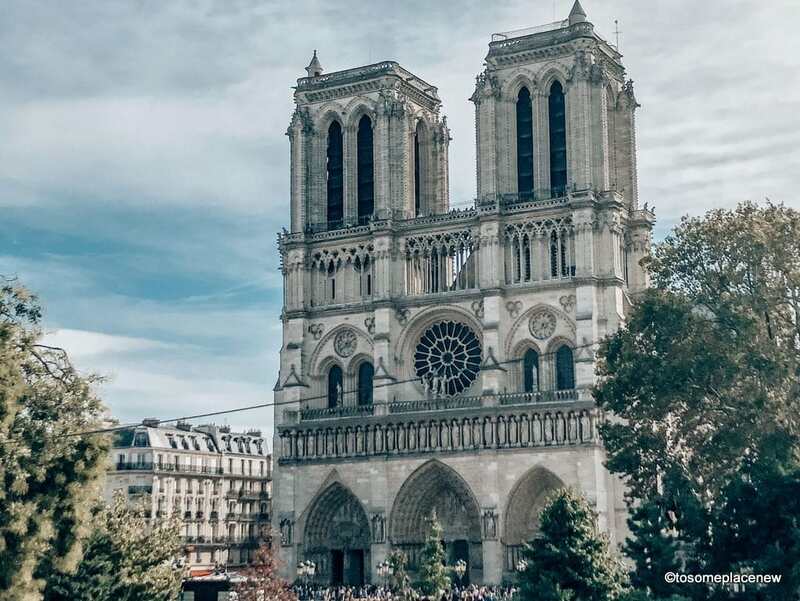 It is an interactive guided tour, where you will learn about the history, secrets, legends and mysteries of the very beautiful Notre Dame Cathedral. Spoiler Alert: You may hear stories about the Hunchback of the Notre Dame. Notre Dame Cathedral is a very important landmark of Paris. It was the seat of Archbishop of Paris in the 12-14th centuries. The interiors of the cathedral are stunning and is popular due to the stained glass windows – displaying a myriad of colors. Binoculars are provided to experience the architectural marvels of the Notre Dame. You will find gargoyles and chimeras which are mysterious, scary and funny at the same time. History lover’s favorite – as you learn about the history of the cathedral’s construction and the hard work and toil of the workers. Tickets to the cathedral towers are included in the price of the tour. You won’t be disappointed with the views from up above. 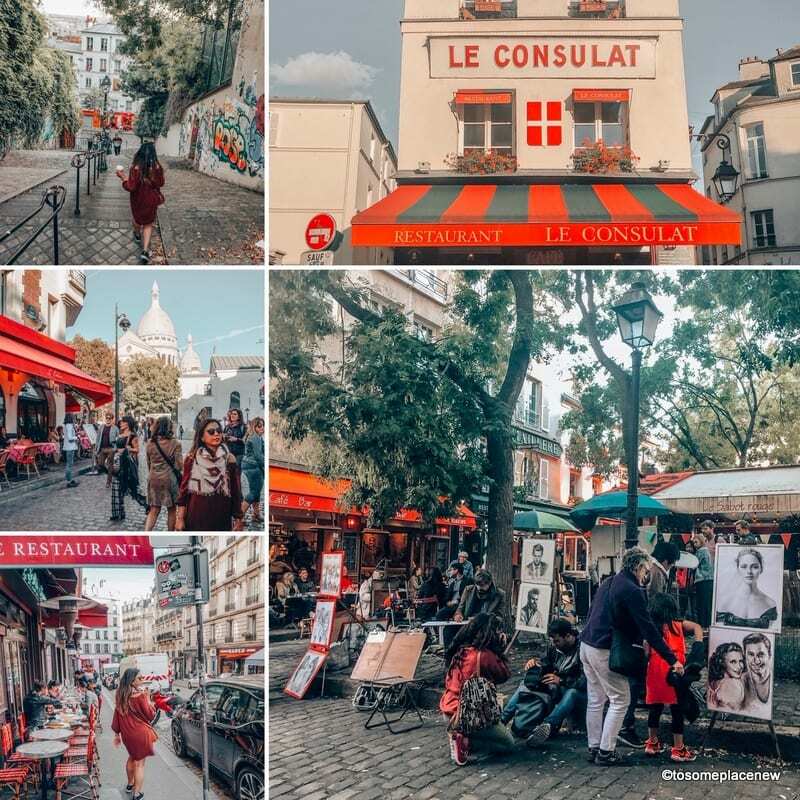 Montmartre is ONE of our favorite neighborhoods in Paris. 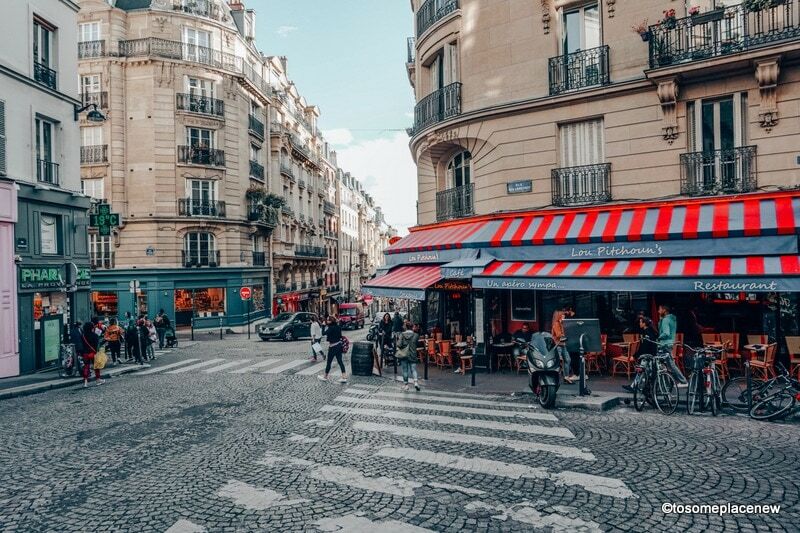 This arrondissement has the iconic Sacré Coeur basilica, the Moulin Rouge cabaret and pretty cafes are sprinkled all over the neighborhood. 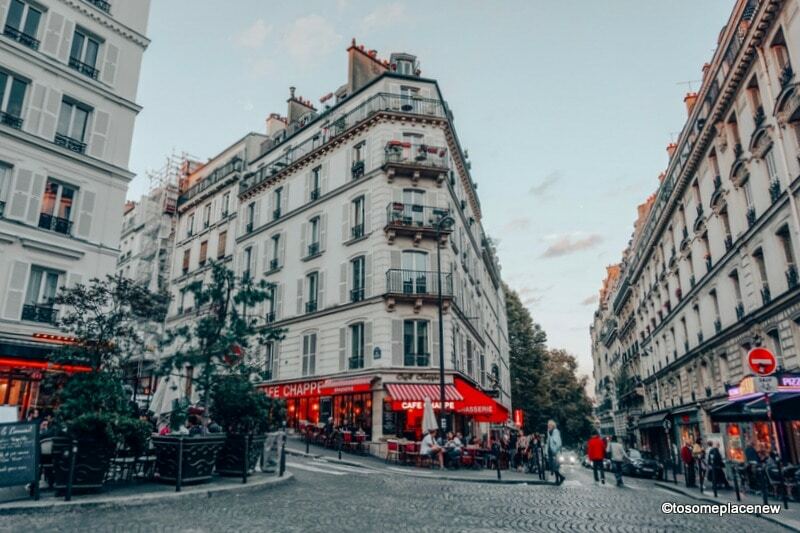 Taste some macaroons, admire artists at work (at Place du Tertre) and enjoy a beautiful stroll in the lanes of Montmartre. A must VISIT item in Paris for most tourists is the – Lourve Museum. A must visit also means most of the times it will be crowded, no matter what time of day or year you visit. It is highly recommended that you book tickets in advance and online. Well, that is a given. This comprehensive guided tour of Lourve is a COMPLETE TOUR. You skip the lines to get access, beat the crowds. It is a guided tour so you learn all the history and interesting stories. Learn about the ‘Mona Lisa’; the ‘Venus de Milo’; the ‘Winged Victory of Samothrace’ and the intriguing history behind them. 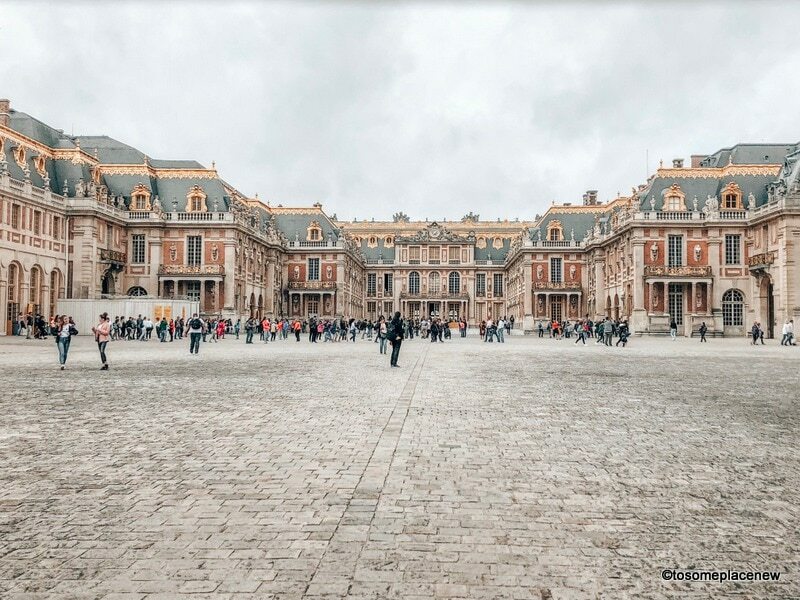 You will also explore the Lourve gardens and uncover unknown gems like Greek and Roman antiquities (notable among them is the 4,000-year-old ‘Great Sphinx of Tanis’,) and other recognizable works of Da Vinci and Raphael. The Lourve was the royal residence of French emperors before Louis IX moved to Versailles. 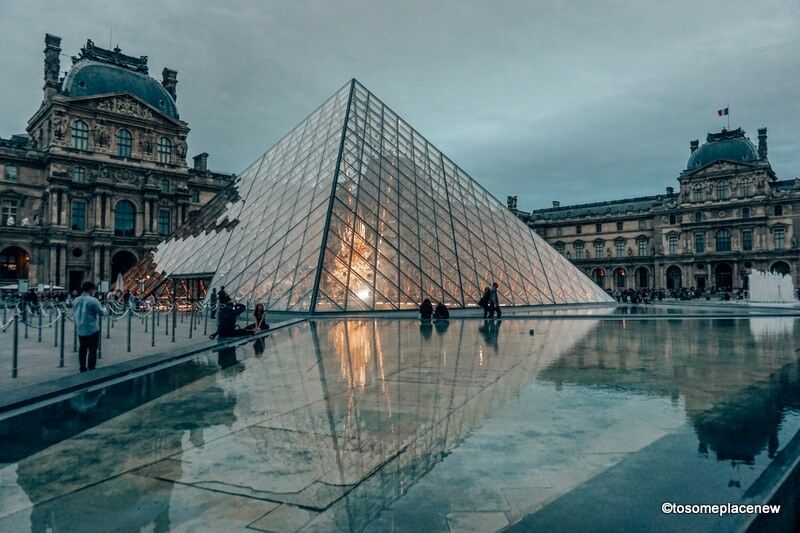 Learn all about the history and what went in the making of the Lourve exhibition hall. Highly recommend this tour to history and arts lovers. After the guided tour, you can explore the museum at your own pace. From the Lourve to now Versailles – the LONG lines and wait are crazy! We started for Versailles pretty early and were still caught in a HUGE line-up. Thank God, as we booked a guided tour, as we were able to sneak in through the gates early, while others waited for their turn. Highly RECOMMEND taking a private guided tour to Versailles if you wish to explore the palace interiors and learn about its history, without having to WASTE your entire day at the gate. We definitely enjoyed our guided tour. It was informative and entertaining. In this private tour of the Palace of Versailles, rest assured you are not waiting in line FOREVER. Also this is a half day tour, so you can explore some other parts of Paris upon your return from Versailles. Quick access to the palace interiors without waiting in line. Guided tour of the palace (I wanted to see the room where the Treaty of Versailles was signed – the one that concluded the World War I). So much history in this luxurious residence of Louis IX. Ample time to spend at the Versailles Gardens. Stroll and relax. This is your PRIVATE GOURMET experience in the heart of the romantic city of the world – the Paris Michelin Star Food Tour. You will devour French haute cuisines from 3 starred Michelin restaurants. This tour is led by a private guide, who knows all about the exclusive French cuisine. They will guide you from one restaurant to another. You will make a stop at the Eiffel Tower (and admire the Eiffel tower illuminations at night). Learn all about the French food culture and fun stories from the Parisian streets. Le Violon d’Ingres – Star chef Christian Constant offers 2 course meal here with a dessert. Put your best foot forward, dress up and go. Get professionally done portraits with a highly skilled photographer. Photo sessions are for 30 minutes, upto 3 hours. Customized to your personal taste. Access to an online photo gallery. Delivery time is 5 working days, online. We hope you found some interesting private Paris tours to consider for your upcoming trip. They are delightful and definitely takes the hassle of planning and organizing SO many details for this MUCH visited city of Europe. Enjoy your stay in Paris and come back with truck load of GREAT memories. I love Paris and having a private tour sounds like an amazing experience without having to do all the planning! And I have to say, a photo shoot with a professional photographer sounds like a great souvenir at such a romantic city! Absolutely! So in love with Paris!